When in 1941, 32 year old Durga graduated she was perhaps the eldest in the passing out batch of Madras Law College. But her years of youth had indeed been well spent in the freedom struggle. In the 1930 Salt Satyagraha Movement at Triplicane beach, held parallel with the Dandi march, Durga actually kick started the event by singing a Telugu patriotic song and was sent to prison. Her jail sentence motivated her to study law. But even before that she had many enviable and legendary experiences to her credit. As a teenager she had travelled with the Mahatma across Telugu speaking regions and served as his interpreter. As a congress volunteer, at the age of 15, she actually stopped Nehru from entering a Khadi exhibition over which he was presiding, because he had not bought an entrance ticket. When her family moved to Madras, Durgabai’s house at Dwaraka Street in Mylapore soon became a pivotal point for social reformation. The informal organization she founded- the Little Ladies of Brindavan, would later evolve as the formidable Andhra Mahila Sabha. The queen agreed to the extraordinary request and bought the first land for the Andhra Mahila Sabha. This led to the emergence of the Andhra Mahila Sabha as an ­independent organisation ­focusing, “on the social, educational and ­cultural needs of women and harness their services in the task of nation building. On his last visit to Madras, Gandhi blessed the plaques of Mallama Devi Mahila Mandiram (named after a Rani of Bobbilli who once committed sati) as also another AMS institution. Durgabai would go on to found 23 institutions and while the zamindarinis of Madras were the patrons, she would also provide jobs to hundreds widows and destitute women and turned them self-reliant. Her courses became overwhelmingly popular and ensued in a shortage of hostel space. ‘Yerolyte’ a British riverside bungalow amidst seventeen acres was next to AMS, but Durga could afford only half the price the owner asked for. When the Union health minister Rajkumari Amrita Kaur incidentally came to unveil a programme, Durga shared herinconveniences . Amrita, a princess of Kapurthala state was enthralled with Durga’s zest, got up and walked unannounced into the neighbour’s house and introduced herself. The regal attitude of the Amrita Kaur and her designation awed the owner who agreed to the lower price which the health minister gave. AMS still uses that British building they got free. 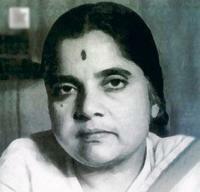 Freedom in 1947 made Durga one of the significant nation builders. As the first woman member of the Planning Commission she persuaded the Government to declare a national policy on social work, consequent upon which the Central Social Welfare Board was formed with Durgabai as the first Chairperson. When her husband Deshmukh the then finance minister of India and she found each other in the planning commission she resigned on a matter of principle. But by some quirk of fate the nation would reward both with a Padma Vibhushan in the same year-1975. Health and welfare of the underprivileged especially of women in Madras owes a lot to Durgabai Deshmukh and during the platinum jubilee of AMS it was resolved to rename it Durgabai Deshmukh Mahila Sabha. Previous Post When there was counterfeiting , in reverse !